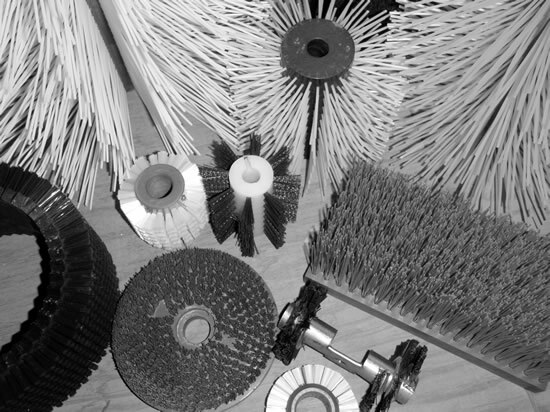 Since 1991, Brush Design has provided the agricultural and food industry with quality custom brushes. Our industry focus and commitment to customer service has earned us a growing family of loyal customers. Our expertise is not limited to any industry as we are constantly designing new products used in a wide range of applications. Contact us to find out if we can help create a product to suit your needs. 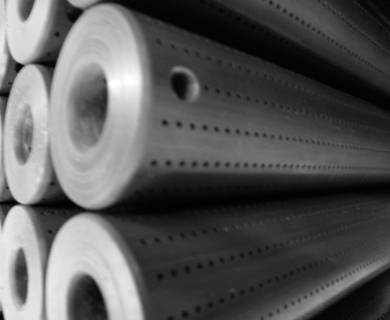 At Brush Design & Mfg, our philosophy is simple - delivery of quality products and great customer service. We pride ourselves on manufacturing the highest quality brush products in a timely manner to meet the demands of the industries we serve. Our operations are both CNC controlled and labor intensive to maintain quality control, keep costs down, and deliver a handmade, quality product. 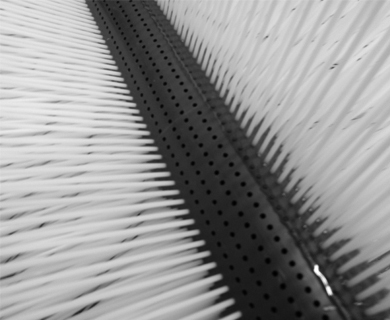 Designed for poultry processing, this style of brush is made by inserting a single strand of filament into a designated hole, then gluing it in place. This method prevents particulates or bacteria from accumulating in and around the brush’s core. Staple set construction is the most commonly used method for securing filament to a brush core. Staple set brushes are made by inserting multiple strands of filament into a drilled hole and securing them with a metal staple.